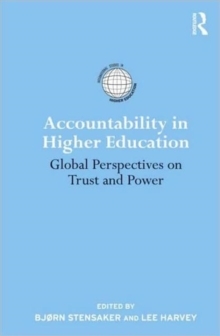 The latest volume in the Routledge International Studies in Higher Education series, Accountability in Higher Education takes an in-depth look at accountability initiatives around the world. Various evaluations, reporting schemes, and indicator systems have been initiated both to inform the public about higher education performance and to help transform universities and colleges and improve their functioning. 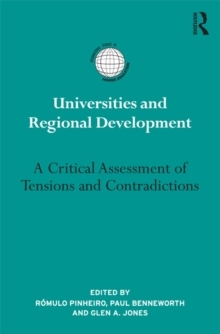 This edited collection provides a comparative analysis of the promises, perils and paradoxes of accountability, and the potential effect on power structures and higher education autonomy, trust and the legitimacy of the sector. Part I describes how accountability is perceived and understood in different regions of the world, identifies some of the most common elements in established accountability initiatives, especially related to quality assurance, and provides direction for possible future development. Part II focuses on responses to new demands for accountability at institutional, national and international levels, and provides practical guidance for handling accountability going forward, emphasizing the dynamic relationship between international development, government strategies and organizational change. This volume is a must-have resource for HE managers, administrators, policy makers, researchers, HE graduate students and those interested or involved with HE accountability practices.